I think I can say this is my first Halloween manicure ever. China Glaze Riveting stamped with Bundle Monster plate BM 305. 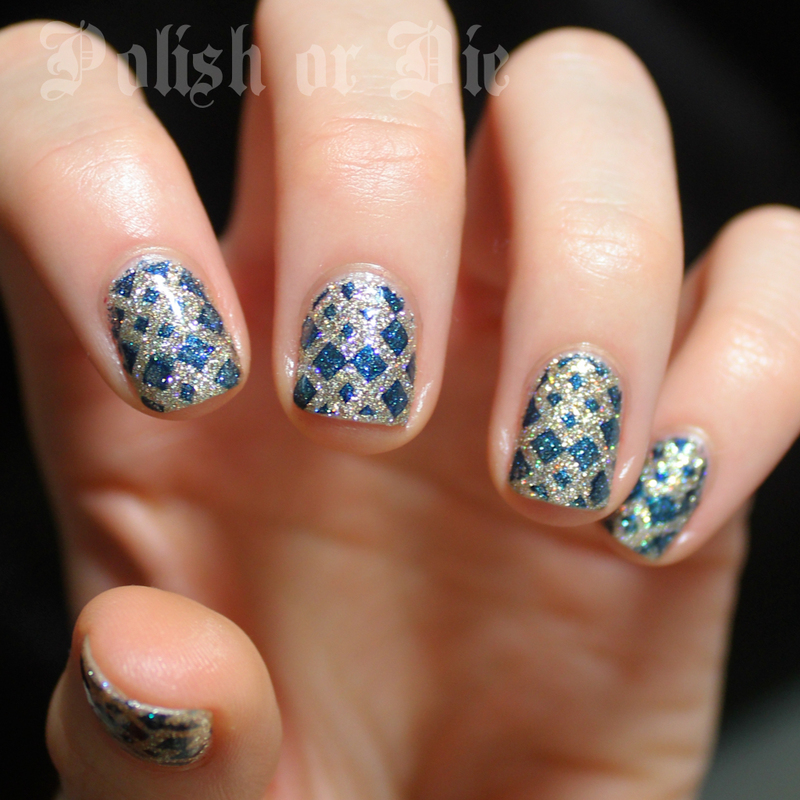 I’ve been looking for a gold stamping polish so I got Sally Hansen Golden-I since it was reasonably priced. 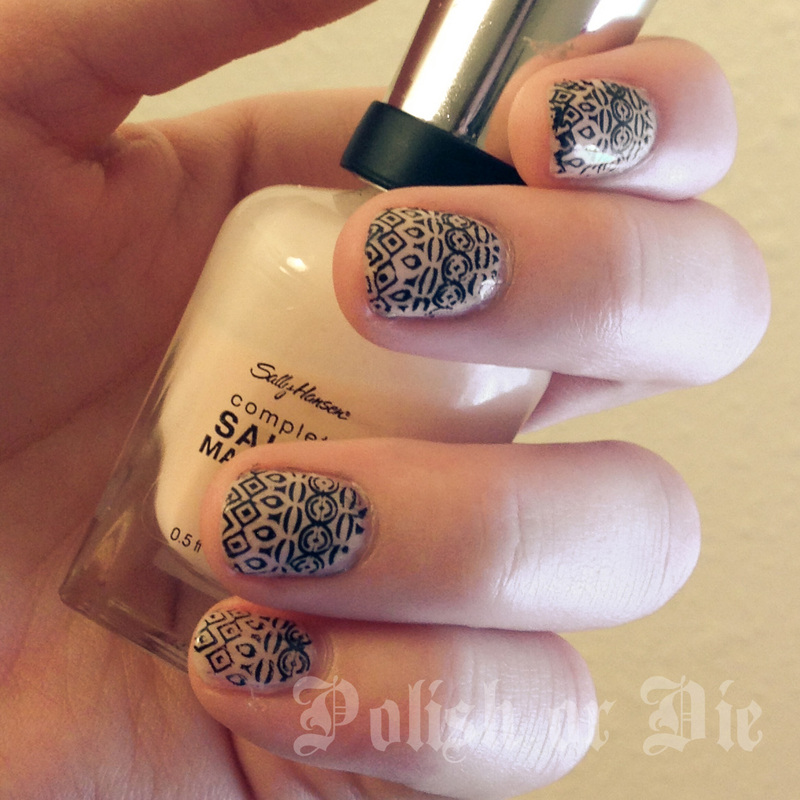 It’s a nice polish and worked perfectly for this manicure, but not as opaque as I’d like for a stamping polish. Still, I love how subtle this is. The base is Julep Sasha. Plates are: Cheeky CH 37 (thumb), Bundle Monster BM 323 (index), Bundle Monster BM 312 (middle), Bundle Monster BM 310 (ring), Bundle Monster BM 317 (pinky). There’s a flaming basketball stamp on BM 312. I absolutely need to use this! If the NFL can support breast cancer awareness, I can too! Sorry my cuticles are looking rough today, I better put on some lotion. This is Essie Miami Nice and Konad special polish for the stamping. Stamp is Bundle Monster BM321. I have quite a few manicure pics taken with my iphone before I started actually photographing them. 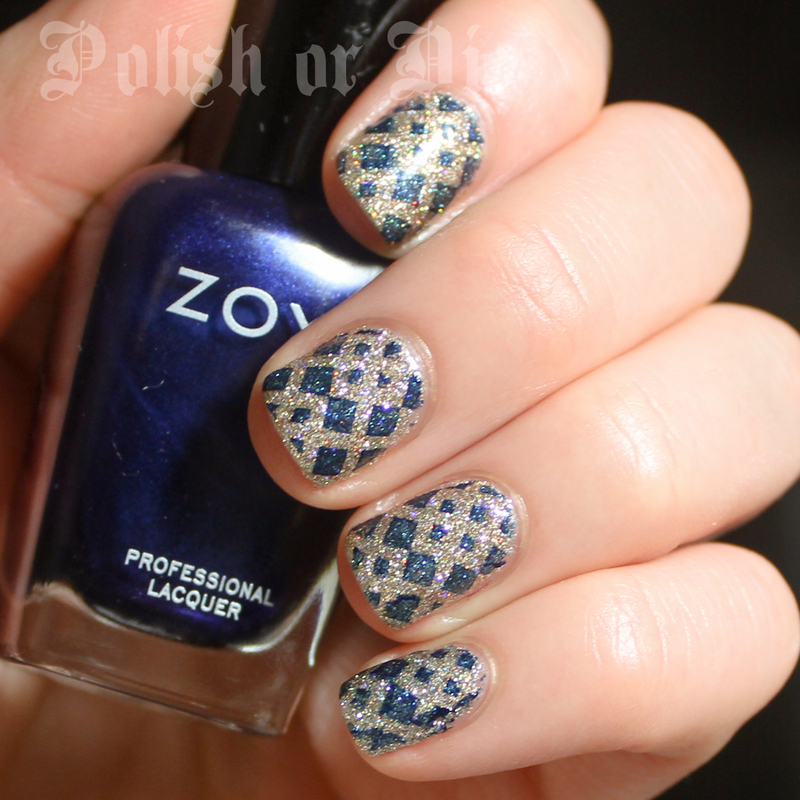 I loved this manicure – it’s Zoya Rica and Zoya Heidi and Bundle Monster plate BM 313. It’s really subtle and was hard to pick up with the camera, which is what I think I love about it! Is this plate a giraffe fur or turtle shell print?